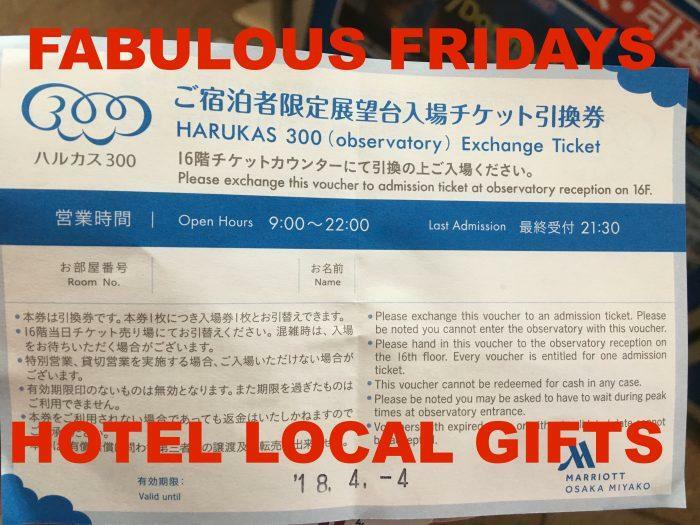 Our Fabulous Friday topic this week is about hotels who present guests with small gifts like tickets for local attractions such as observatories as I just received in Osaka and Kyoto. 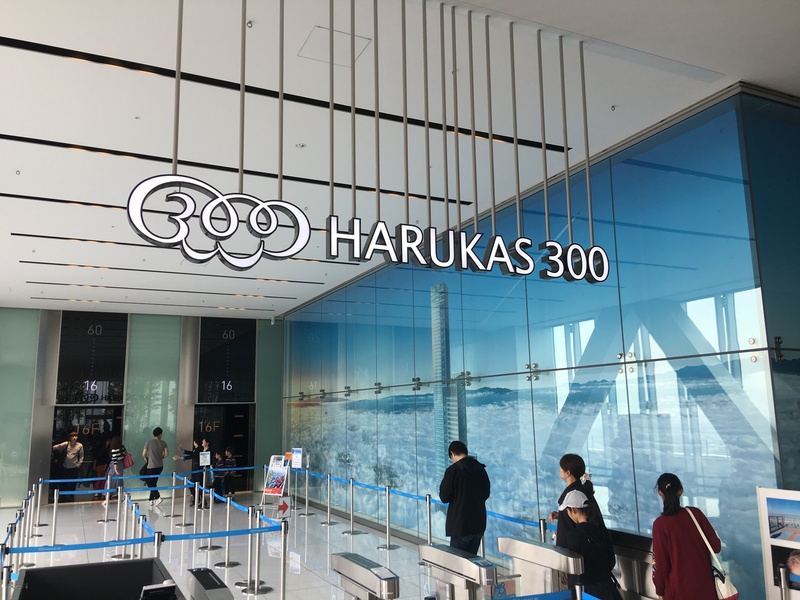 At the Marriott Miyako Osaka for example which is inside the Harukas 300 building (the tallest building in Japan) guests receive a complimentary observatory ticket valued at JPY 1,500 per adult. It’s always nice when hotels go beyond what’s required to provide to guests based on their brand standard and when you visit a place where an observatory is available it’s a nice treat. I’m someone who likes to visit certain landmarks such as Taipei 101, Auckland Tower, Empire State Building, Lotte Tower and even the Vancouver Lookout even though some of these tickets are pretty expensive. At the Marriott I stayed at the 54th floor so I probably wouldn’t have visited the Harukas 300 observatory which isn’t much higher than my actual hotel room but in this case I just went ahead and spent an hour there. 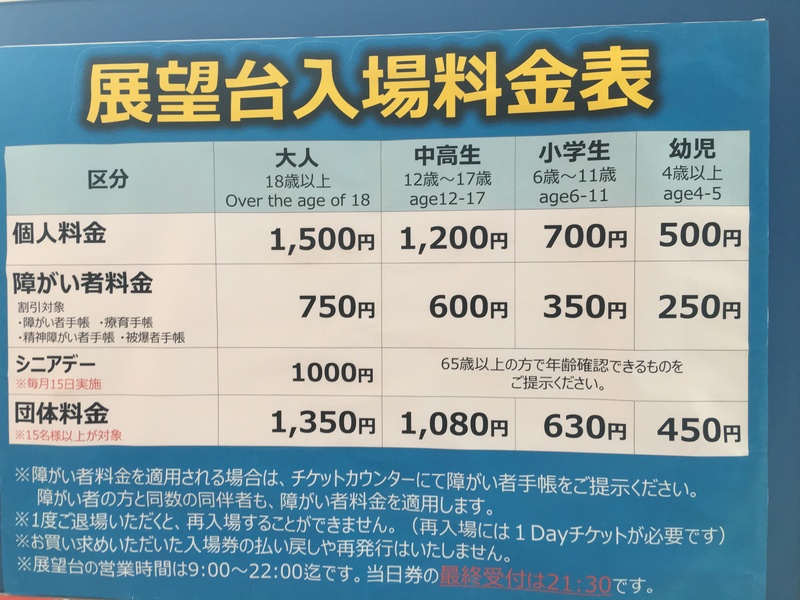 Osaka isn’t really a city with an impressive Skyline and on top of that the Tennoji area is a bit boring so not sure it’s really worth even the moderate JPY 1,500 admission. On top of that you’re being bombarded with extra services such as photo ops for a fee every left and right. I’ve never seen it that aggressive as here before. I guess the owner of the hotel is obviously the same that owns the entire building so it’s easy for them to provide cross benefits without additional expenses. Especially if you come with family this might be a welcome and valuable treat to go up there, the kids really love the elevator ride and the play areas. In Kyoto I got a voucher from the Kyoto Tower Hotel offering to go up on the Kyoto Tower (same building) for JPY 300 instead of JPY 750. I didn’t take them up on it but might have if I was really bored.